Continuously failing at the same thing year-after-year, but trying again and again with the same approach isn’t a form of determination, it’s a form of madness. To a certain degree, we all go mad when it comes to New Year’s Resolutions. Don’t Wait: Don’t wait till the tipsy hour of 11:55pm on December 31st to establish your resolutions. 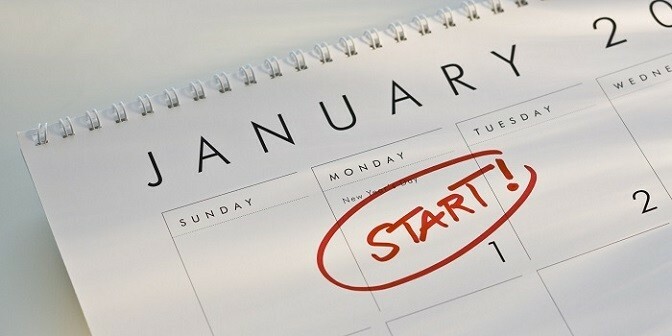 For any number of reasons, you may not even remember what your goals where come January 1st. Define Your Terms: When does your newfound commitment start? If it’s bright and early January 1st – stick with it. For many, the lure of a New Year’s Day holiday provides all the excuses necessary for us to hold off on hitting the gym, stop hitting the bottle or doing whatever our resolutions require. Look at the calendar and set a specific start date, which may be Monday, January 4th. Whatever you decide, decide in advance, otherwise you’ll already feel like you’ve failed before you even head back to work. Share Your Goals with People Around You: It’s easy to back out of a goal no one knows you have committed to. When I committed to losing weight and getting in shape, I talked about here, in my speeches and in my training classes… Everyone knew and it was that pressure that kept me going back to the gym day after day and now, year after year. Find Someone That Wants The Same Thing: Once you’ve decided on your 2016 goals, talk to other people to see if you can find a few like-minded individuals desiring the same goal – then team up. It’s much harder to skip going to the gym when your friend is waiting for you on the treadmill! As always, I’m here to speak with you personally about your goals. Thank you to everyone that reached out last week, many of your goals were both aspirational and inspirational. I can be reached at jeff@jeffkaplan.com. Don’t look now but the clock is ticking….